Football or American Football, despite not having too many important leagues outside the USA, is one of the most popular sports all over the world, not only in North America. In fact, the final of its professional championship, the Superbowl, is one of the sporting events that gathers the largest audience in the world every single year. 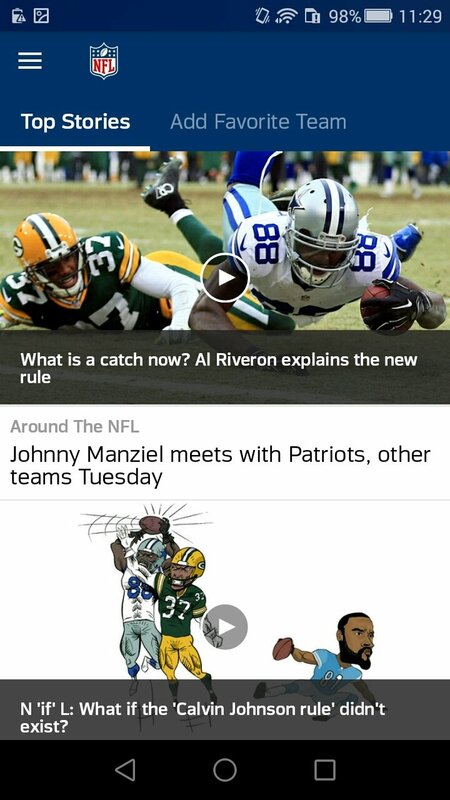 If you're really into this stunning sport, you can download the official NFL app for Android. Thanks to the latter, you can access a complete information section to keep up with the entire tournament from top to bottom and with any news that may arise regarding the teams and players. 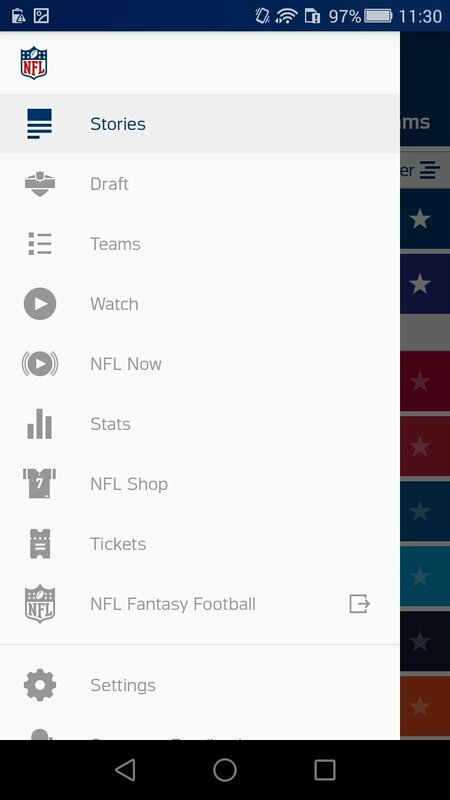 The best application could have only been developed by the entity that has all the official information and that's the National Football League, the guys that organize the most important tournament in this sport. 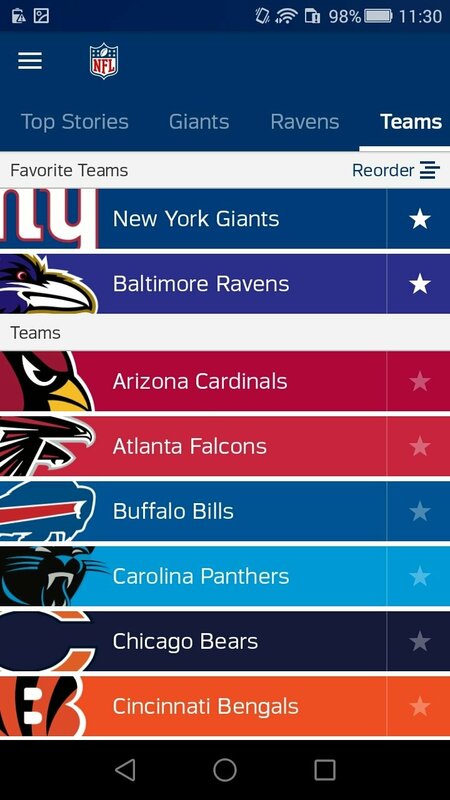 By means of an intuitive interface, any fan can explore all the contents, checking general information about the competition and news about his favorite teams. 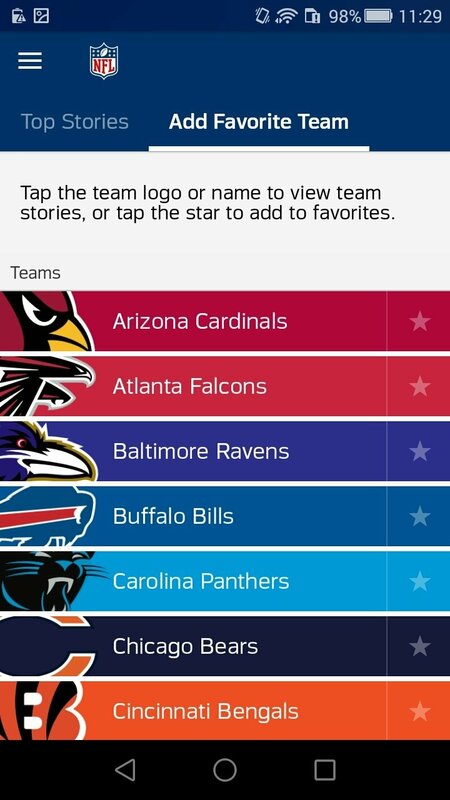 Tom Brady, David Johnson, Kyle Juszczyk… all the stars are present in this app. Schedules and results of the matches, and standings of the American and National Conference. 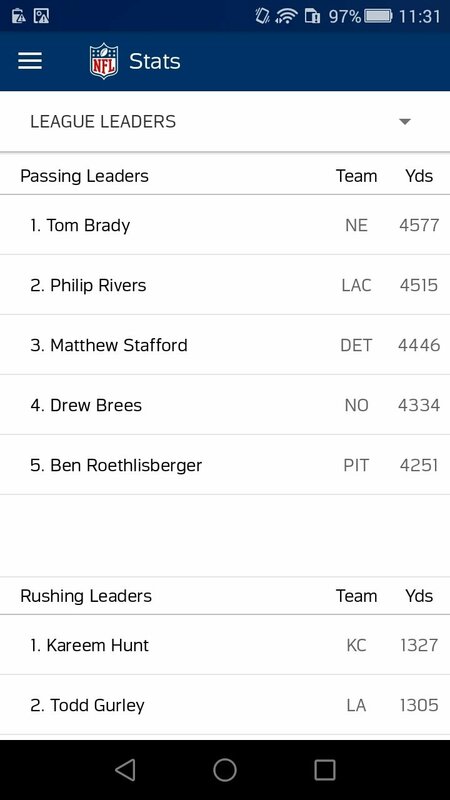 Check championship, team, and individual player stats. Watch matches online and live through different subscription methods. 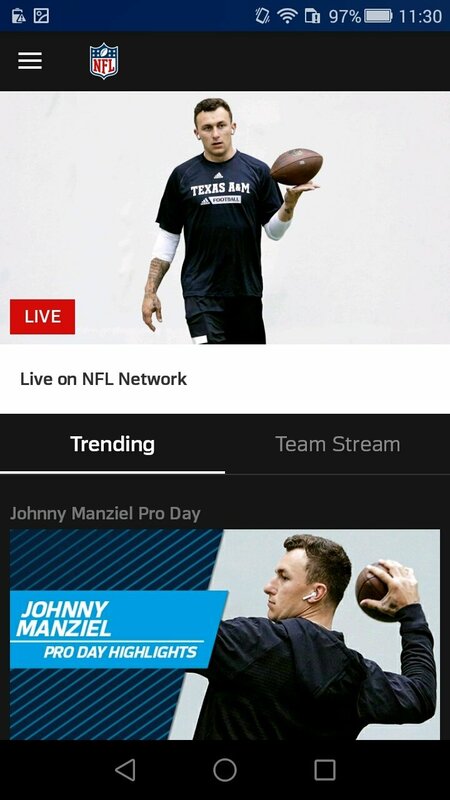 Access exclusive videos with the best replays, special programs, and news. Buy tickets for the games. 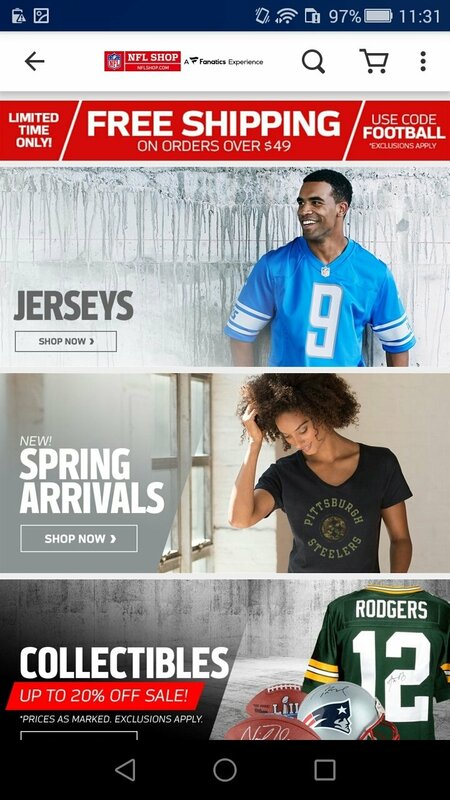 Access the official NFL Shop and purchase T-shirts and any other kind of merchandising. 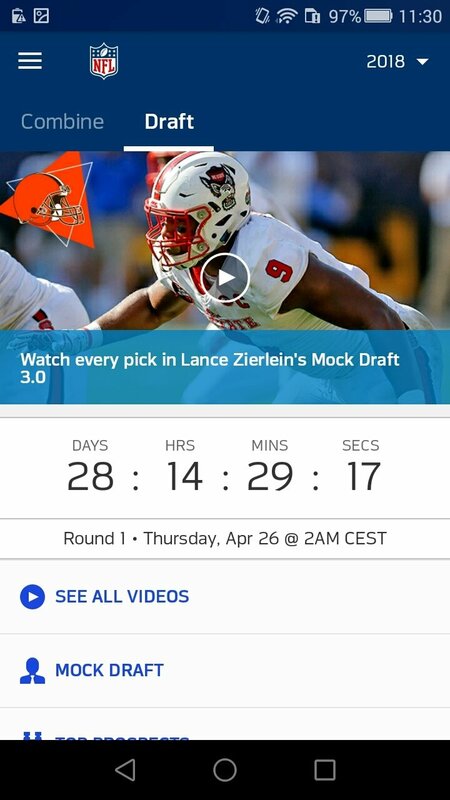 Follow the draft and find out about the new signings of each team. 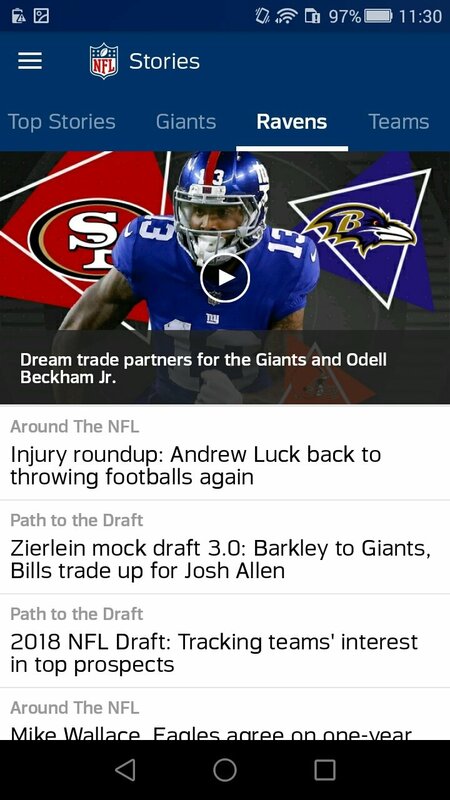 Download the APK right now and don't miss out on anything that happens in the USA's professional football league.